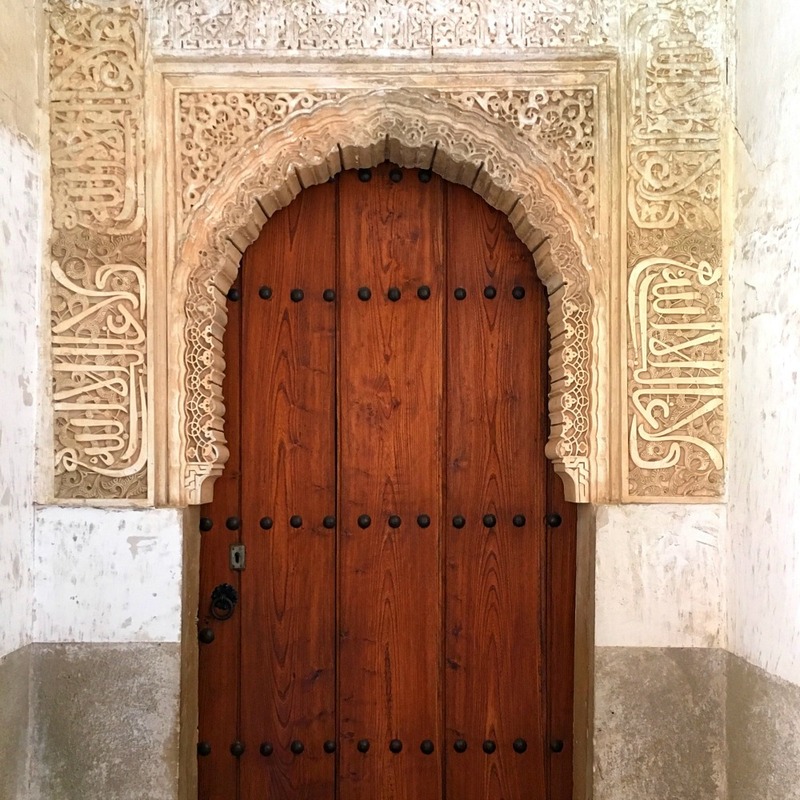 Why a giveaway from the Alhambra? Some places touch the body, some the soul and some the spirit. 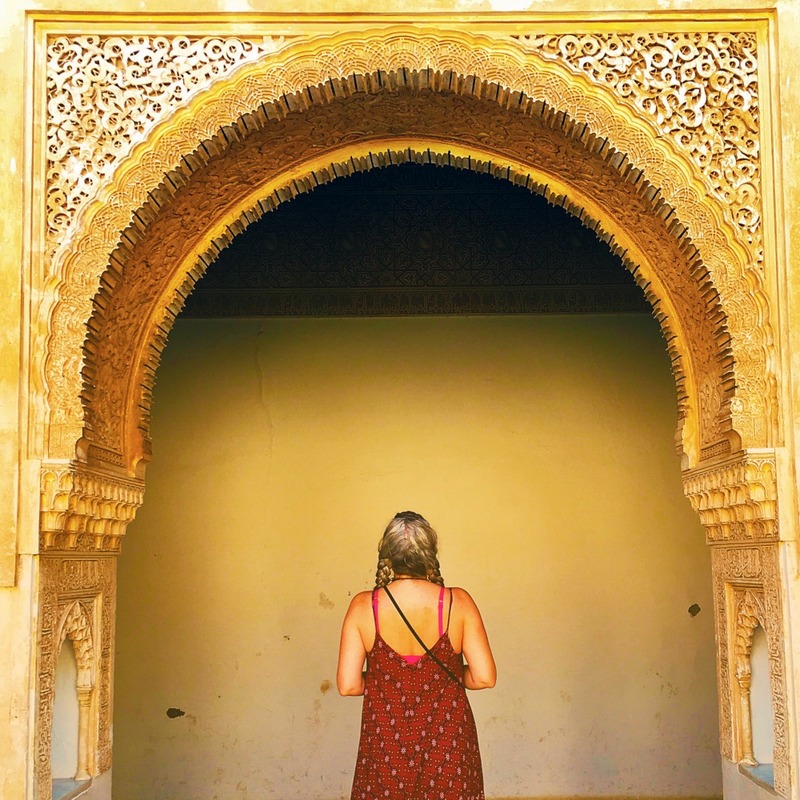 The province of Granada in Spain touched all three in me this summer – and especially the jewel of the city of Granada, the Alhambra – that mishmash of architecture, design, artistry and legend. 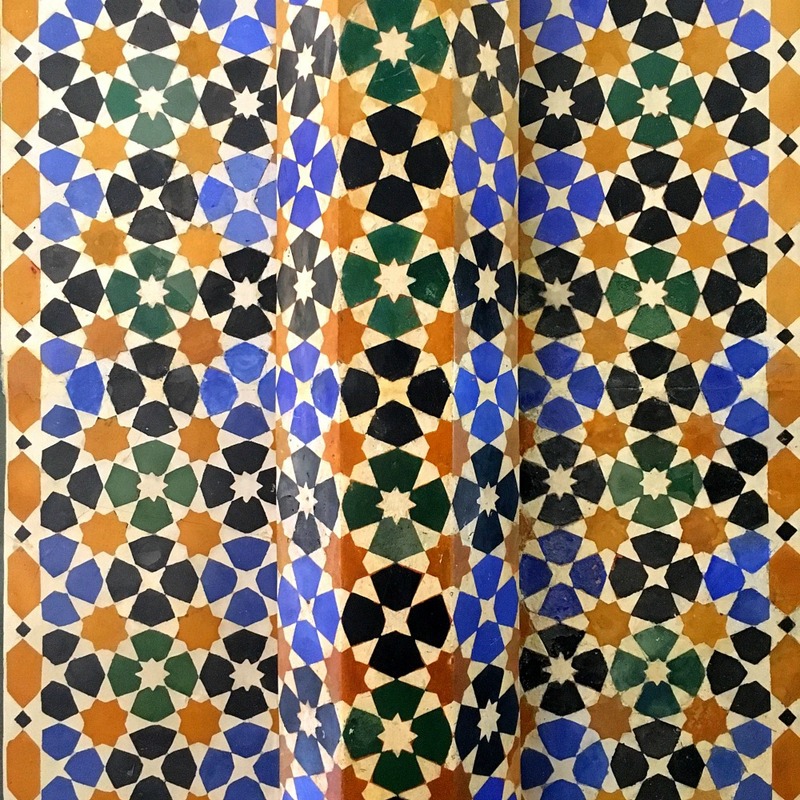 I have this thing with Islamic art and architecture that really stirs up something deep inside me and the Nazrid Palaces in the Alhambra are wondrous examples of this ancient artistry. The geometry! The patterns! The intricacy! The devotion! All you need to do in return is to let me know which city has most inspired you, and why! You can see all the prizes on offer and enter using the clever widget from Rafflecopter below – but first, a few images to give you a feel for the place. Only a few, mind – I was too busy adoring everything! 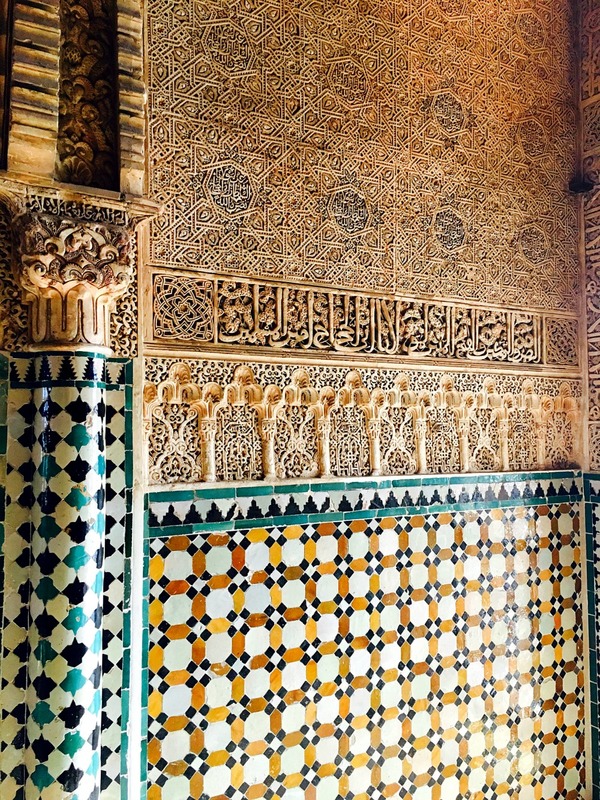 This selection is just a small display of what the Moorish-origin Nazrid Palaces have to share with us. I hope you enjoy as much as I did. There are six separate prizes, so six winners to be chosen. Each winner will receive an individual packet, consisting of 1 x Polaroid style postcard + 1 x keyring/pocket mirror + 1 x silky zipper pouch. These are tiny prizes, to be sure, but heartfelt in their intention, which is to share with you something of a piece of this place where I felt like I’d come Home. To enter all you need to do is follow the instructions in the widget. Each entrant should leave a comment below to tell me your most inspiring city, and why. There’s extra points if you also tweet a link and visit (Like?) my Facebook Page. Entries open worldwide to all aged 16+ yrs. Closes 20th Sept 8.00am UK time. Winners announced within 48hrs by email. Edinburgh! Because it’s beautiful – and ultimately home! Granada inspired me the most. 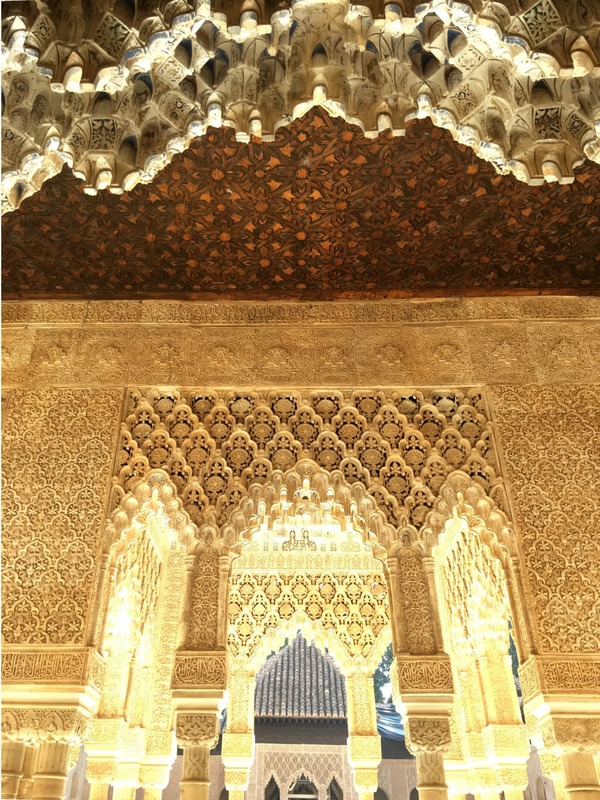 Sitting at the Alhambra allows thousands of years to wash it’s beauty over one’side soul and left me richer than I could have ever imagined. I am recently back from a wonderful trip to Peru and while Machu Picchu is spectacular, the truly magical city of Uros is floating on Lake Titicaca @ 12,000 feet in the high Andes. The floating reed islands form a city and create a private lagoon on the lake. Each island, made from local reeds has 10-12 huts housing family groups of up to 25 people and have been there dating back some 3000 yrs. They live off the bounty of the lake and create some of the most beautiful textiles from native Alpaca, going back and forth to the mainland to sell their wares at market. The air at that altitude is crystal, the sky a deeper blue and the wide smiles on the beautiful brown faces of the native people tells the story of their contentment with life in their secure world. These are gorgeous!! Spain is truly an inspiring place. I went to Competa last October – didn’t make it to Granada – but I know I will go back. So laid back. I’m most recently inspired by my trip to Ireland last month – the circles, the Ogham writings, the Book of Kells. Thanks Julie! MY favorite city so far in my life is Edinburgh. I love the castle, the history, I walked the labyrinth, I feel safe. I feel grounded, I love the museums, the gardens on a sunny day are the best, and the ability to go from there to just about anywhere in Scotland. I am a country non city lover at heart , I do love Edinburgh though. Being an artist the museums are fabulous. I have seen several wonderful exhibits during my travels there. Oh my gosh, the photos are absolutely stunning – thank you so much for sharing them! I’ve been following you on Instagram and have so enjoyed seeing your photos pop up on my feed. I’d have to say right now that Seattle is one of the most inspiring cities that I’ve been to – there’s so much beauty there, both man-made and natural. Thank you for the chance to win! What beauty there is in your heart, dear Julie. As I enter this, I am full of the intention that when a heart-offer is made, my heart opens and says yes. Paris. I’m a little embarrassed by it and surprised by it too. I wasn’t that girl with Paris dreams until I arrived. I still remember the moment of standing in the Rodin gardens and realizing, “I am here. I am actually here.” Somehow that trip opened up to me a whole new world of possibilities. If I could gaze out a rainy window at Notre Dame, if I could walk through the Louvre, if I could eat in a little Parisian cafe, what else could I do? Here’s to the inspiration and the dreams awakened by our travels. Venice Italy won my heart. Once you leave the main canal you enter a magical quiet place. No cars, the lack of traffic sounds sooth the soul. Winding streets, hidden nooks, fabulous art and restaurants. You can wander at your leisure, enjoying the surprises that pop up around the next corner. Hello dear Julie, The city the most inspiring that i traveld to is Jodhpur in Rajasthan India. The blue city…. the Mehrangarh temple which have a lot of similarity with the picture you showed….Such a beautifull city….i took so many picture, it was enchanting! Athens because I love Greece and it’s history. Classic – cannae beat a bit of Greek history! Thanks for sharing, Larraine. Praha, because of its atmosphere with small roads, stone floors and stairs. You feel some special, artistic, quiet spirit. Oh, my husband spent a month or two working in Prague before I met him. Perhaps we’ll get to go together one day in the future. Thanks for sharing, Meg! Barcelona, find the Buildings by Gaudi just so refreshingly different. Barcelona is a popular choice, Caroline. I’ll always remember the sound and light shows there in the evenings. I recently visited New Mexico and spent a week in the small town of Taos – I am so inspired by Georgia O’Keeffe country and feel myself being pulled back to the amazing town and the beauty of the land around Abiqui and Ghost Ranch where she lived for many years. 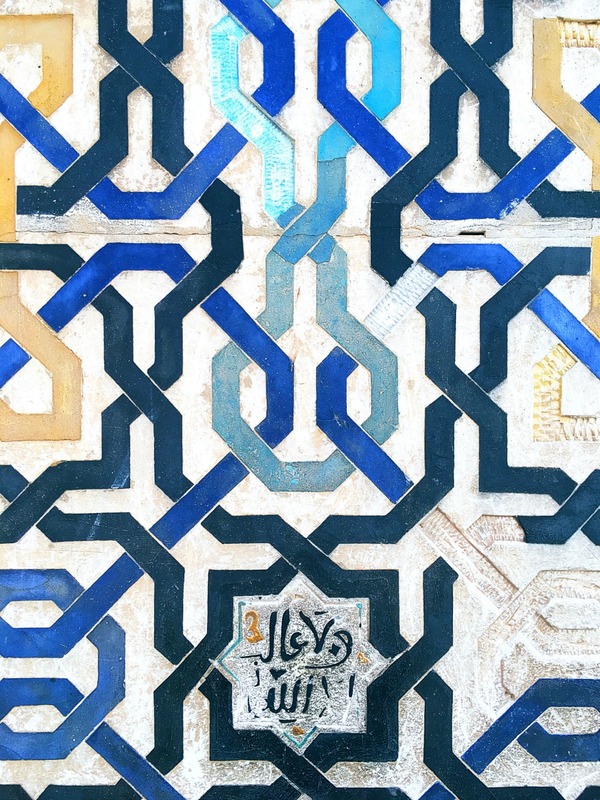 Istambul because there is art everywhere! Surely is a colourful place, Jeannie! Thanks for sharing. Edinburgh was my first city. The first I ever saw and will always be my first love. Still it is to Paris for me that my heart always looks ,so after much reflection, it is Paris for me too. Not the tourist Paris though, for me it’s the Latin quarter round Mouftarde when the street market is on, or the cafes and bars around St Andres des Arts where my lover busked some 40 years ago, or maybe it’s the Marais where there’s fascinating shops and cafes on every corner and you feel you might be in the Middle East, if it wasn’t all so French. The Paris of Shakespeare and Co, where curling up with a book from the shelves is positively encouraged. I love the Spanish cities too, each has something special, but if there could only be one city then it has to be Paris. Monterey, Ca. It was so different from where I came from. The temps were cooler, the people more laid back, and no one called my crunchy for trying to find organic food. Oooh, Allison – gotta love somewhere you can eat organic without a fuss. We were on a mission to find/eat organic in Granada, and were happy to see more than ever before. Hoping one day soon it will be less of an effort! While not a city per se, the town of North Walsham in Norfolk, England inspired me in a deeply spiritual way. I was visiting family there in ’12–my first time out of the US–and I felt a connection there in the woods behind my cousin’s home–it was like the flowers were more colorful–even the bark on the trees seemed to be whispering something to me that I couldn’t quite understand. I cried and cried, but not out of sadness–out of pure connection to the Creative Source of all things. Then later, while exploring the town on my own, I was just STRUCK with the beauty of buildings older than my own country–how the paint and plaster wears and chips forming the most beautiful patina–how the wood beams stand and watch as the centuries fly by… I’ve never been MORE artistically inspired by a place. Amsterdam was really nice to me, with the canals, the Van gogh museum, the flower’s market. I loved the achitecture there. Ah, yes – I’m glad you mentioned Amsterdam, Johanne – my first ever time travelling outside the UK was to this infamous city – so many great times there – and so much to visually feast on! Julie, I’m always enamoured and intrigued by your Summer house swaps, In part, as I have never traveled to Europe, only across the United States. Your photos are lovely. My heart belongs to Northern California, specifically the city of Sonoma. There is something about the golden hills and sparse green trees. That whole valley, the smell of the air, is home in my heart. Black Mountain, North Carolina in the Blue Ridge Mountains was our favorite home. It’s a small American town where art thrives and people are friendly. Shops and restaurants are small and locally owned. Because it is walking friendly, people are connected naturally. Black Mountain doesn’t have famous museums, aquariums, or botanical gardens, but the real treasures are the people who are lucky enough to live in this mountain town! 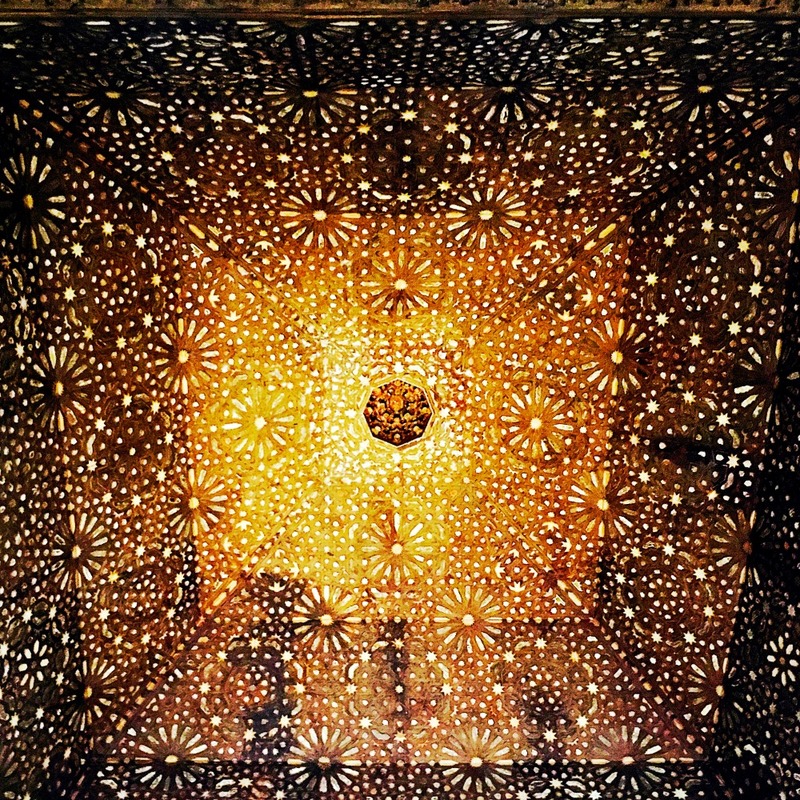 Istanbul, the art there was wonderful, mandala inspiration everywhere! There is a sense of age in this city, of purpose and history, it is a teeming city, full of people, busy doing each their own thing. But there is a whole underground, literally, city to see also. Street after street of sellers of every kind of “thing” you could imagine. The street of gold sellers gleams brighly as the lights cast beams dancing into the semi dark from the gold wares in their windows. The spice vendors street can be found with no help at all just follow your nose and the next street? Why that is the tea sellers street. I was in Istanbul more than 30 years ago and it still stays clear in my mind like I was there yesterday. I could go on and on, even tell you what happened to me when I went in the St, Sophia mosque, but that is a story saved for a hot pot and a plate of cookies! I live in Texas yet just a stones throw from beautiful, spiritual, art filled Santa Fe, NM, but I cannot deny my love for Europe. Particularly Scotland, and that is because of the people I encountered there were the kindest people I’ve encountered in all of Europe. I love the history, the castles, the standing stones, the stories of fairies, myths and legends, the pubs, waterfalls and snow capped munros in the Highlands, meandering down The Royal Mile and exploring a Close in Edinburgh. I felt like I had come home in Scotland and I long, oh how I loooooong to return. Sounds like Scotland really made its way to your heart, Kelly! So good to know… Certainly fancy a trip to Santa Fe myself 🙂 Thanks for sharing! I am trying again.I loved the city of Amsterdam, with all the canals and the achitecture, the Van gogh Museum, and the flower’s market. a city where you feel being in vacatin every day. Ovre Aardal, in Norway – On my 40th birthday I had the opportunity to visit (from the US) – it was the place my grandfather came from. As I stood overlooking the nearby Sogne Fjord…the Hjelle Farm, where he worked, and the small cemetery where he attended church, I felt a sense of the place in my bones, my cells, every inch of my being – as if I somehow was welcomed and belonged there and the universe was rejoicing. For the first time in my life, I got a sense of my history, my DNA, and how OLD the world is (in comparison to my very young country). I understood the choice my grandfather made in settling in Duluth, MN – it had a vague similarity to his hometown in Norway, in a smaller (and at the same time bigger) way. A sudden understanding of Paradox dawned in me. Travel can be remarkable. These are amazing photos …. 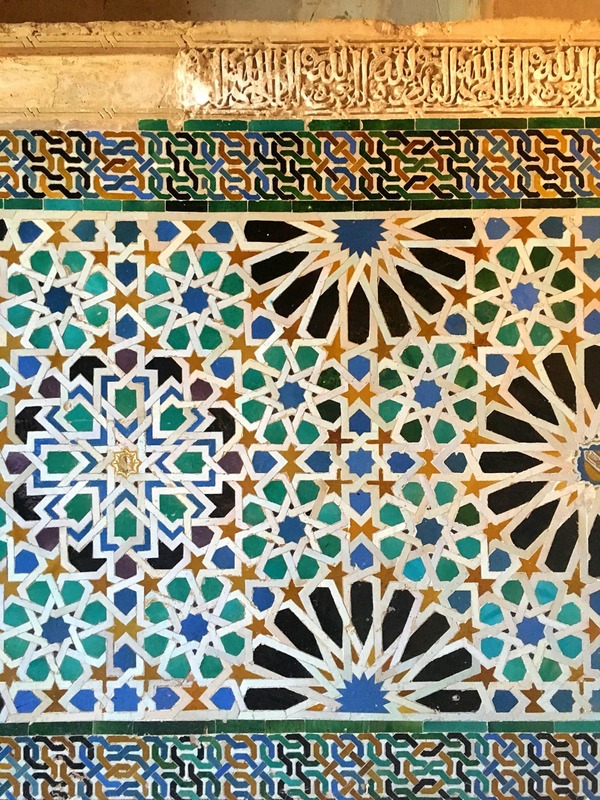 Paris is incredible from some photos and descriptions my friend shared with me (I am not wildly traveled myself) … but I have always been so uplifted by a hanging I had of Granada (until someone else apparently liked it too). But I love Greenfield MA US the best! For me, It has always been Rome. I lived in Naples for 2 years while I was in the military, and I spent a lot of time in Rome, drawing on the Spanish Steps and interacting with the people, and that has always carried with me. A few years ago my husband and I traveled to Ireland. Since my dad was from the north, a little town called Limavadie, it was important that we visit both the north and the south. It was a beautiful and unforgettable journey. The tour guide even had the driver stop the bus so I could have my photo taken. In payment I had to sing ‘Danny Boy’ for all aboard the bus. Co-oincidentally, when I showed the picture to my dad he showed me one of him taken at the exact same spot! I loved the fairy folklore, the ‘fifty shades of green’ we saw everywhere, the castles and the wee towns with their unusual names. Dublin stands out in my mind as we were able to visit the university to look and and be awestruck by the ‘Book of Kells’. The beautiful illuminations of early biblical manuscripts were almost overwhelming. There was wonderful architecture throughout this beautiful place and lots of art for sale..especially alongside the river. Later on when we were back at our hotel, I saw that my husband was writing something down…not his usual style! When I asked what he was doing he simply informed me that he had started ‘The Second Book of Kells’! A very memorable city an experience for sure. I love Galway for the sea air and the warm people. Edinburgh, Paris, Munich fleetingly came to mind. Berlin stayed. I first experienced Berlin as a preschooler, remember well the rickety train journey gazing out the window late at night. Must have taken days from Edinburgh back in then! We stayed in a flat or a summer house with big garden. Wandered through pine woods with wild boar! Went swimming in a sandy beached lake. The heat and sun, not knowing what people were saying. There was a toy shop we used to visit too. Then visiting the city as a young adult with a friend (pre the wall coming down), exploring, exciting, scary. Russian soldiers marching on the East side, sniper soldiers in the airport. A culture shock for my friend. Contrasting experiences of the same city. Inspiring not so much in art or architecture but in being in the moment and connecting to emotions and feelings. Edinburgh for the architecture, the cemeteries, the history! I love it there! Edinburgh is surely high on the inspirational cities list! Thanks for your nomination, Amy! Recently I went out of my city to travel just to come back and see how inspired I am to the place I live. Walking on my neighborhood I realize how I love to live right here. I visited Barcelona this summer, it was awesome and I would love to return – good food, and art can be found in every direction you look! I also took many photos of doors, windows, street-lamps, tiles & food! This was a very art-inspiring place to visit! Belfast – we visited this year and the art everywhere was inspiring! Even the art on the Peace wall was thought provoking. So beautiful and inspiring! 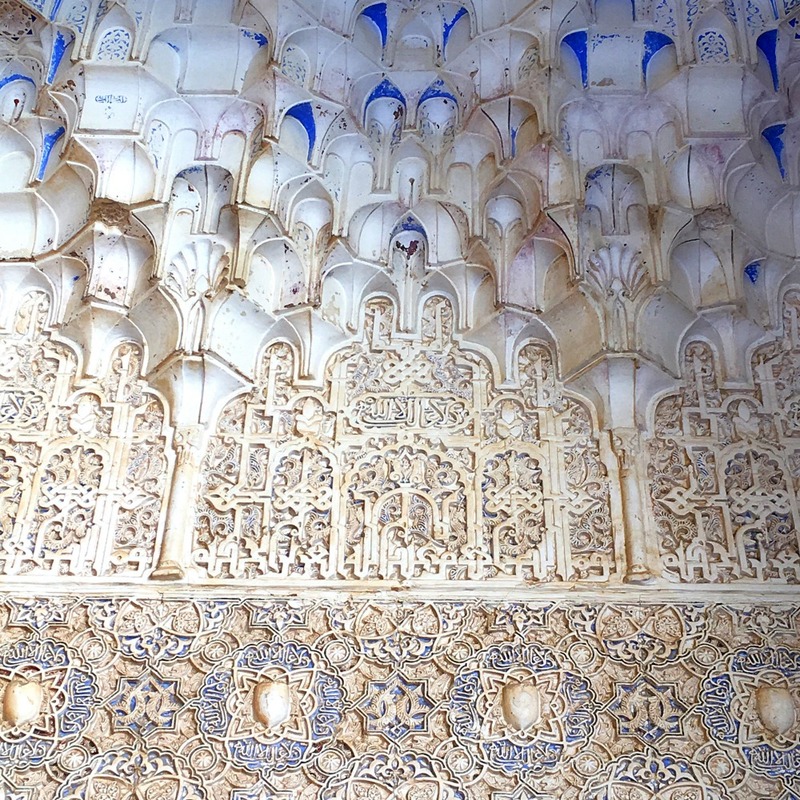 The patterns are incredible and painstaking time must have been spent in all the work. The first place that comes to mind is actual more than one city but the group (container?) of the Azore islands where my paternal ancestors were from and Victoria, Canada because of its fascinating combination of the old and new. 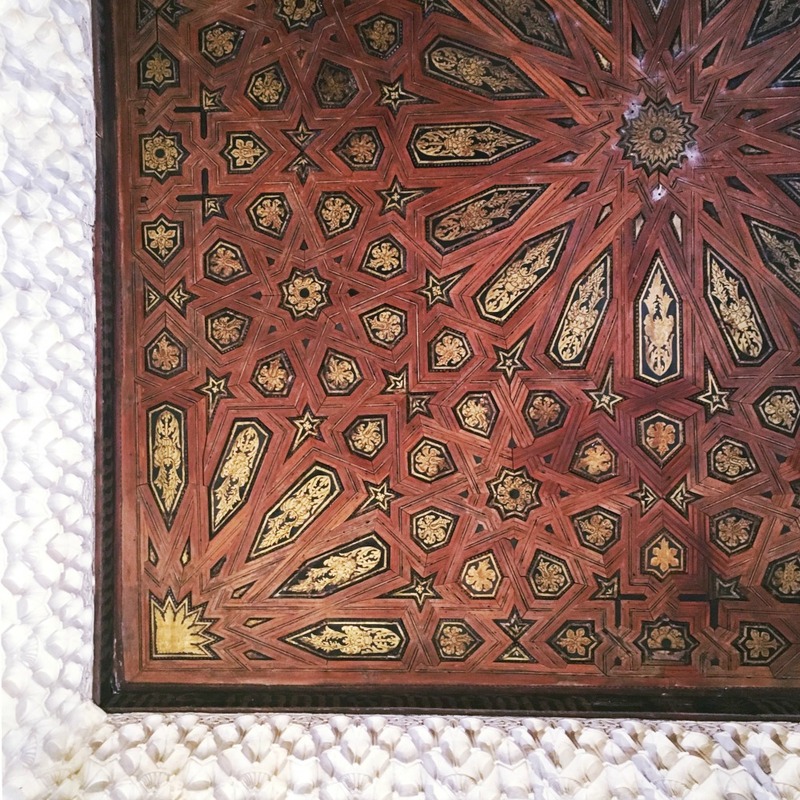 So glad you enjoyed the photos Linda – such admiration for the dedication of the artists who create this work – especially all of those hundreds of years ago! I’ve heard good things about the Azores, and very much enjoyed my visit to Victoria, BC. Thanks for sharing! The special city that inspires me is right where I live in Port Stanley, Ontario, Canada. We call it a village because it is on the shores of Lake Erie and at one time a very popular fishing and tourist area. Commercial fishing is small, but I love seeing the fish tugs bring back their catch surrounded by hundreds of gulls, coming up the harbour. I walk everyday, never get tired of the shore line cliffs, the scenic views and the migration of birds. I take my digital camera and have taken many shots of flora and fauna. I’ve lived here for over 30 inspiring years. You paint a perfect picture, Cathy – so good to know you find so much inspiration on your doorstep 🙂 Thanks for sharing! Seoul has soul. 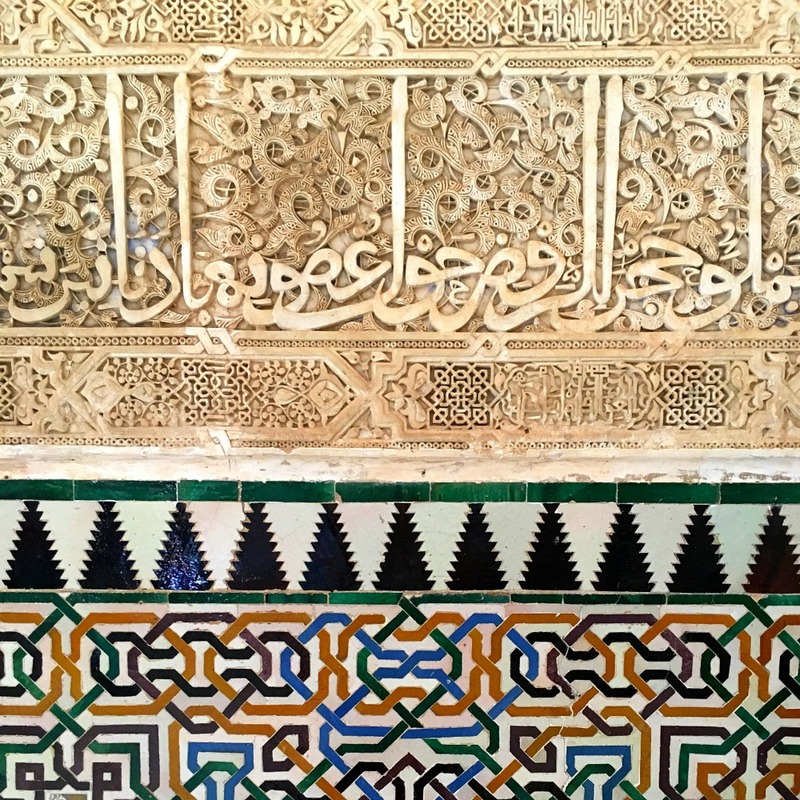 Everywhere there are the traces of history, of conflict, of persistence and dedication, of earthy enjoyment and tradition in direct conflation with modern drive and energy. Soaring contemporary office buildings rise next to the chunky, tile-roofed temples and farmhouses; a brass temple bell is framed by sculpted concrete; orange persimmons and rice stands grow in the heart of the frenetically busy downtown core. Here a wrinkled adjumma (auntie) drags a cart piled eight feet high with flattened cardboard, while an impeccably-dressed college girl clicks past her in designer heels. The scent of street food, from spicy rice cakes and pork-filled mandu, to beanpaste icecream, cold noodle naengmyun, and smoked sweet potato fries, tempts the passerby from early morning late into the night. Street after street packed with electronics, from the latest Samsung tablet to enough disassembled vintage parts to build your own room-size computer. Namdaemun, one of the oldest perpetually-running markets in the world. Coffee shops with chairs big enough to sleep in. Live jazz. Fashion districts the size of a small town, art areas with serene tea houses, calligraphy shops, paper makers, Buddhist shrines, statues to medieval Korean generals and astronomers, bathhouse spas at eight dollars for a day of indulgence, taxis every third or fourth vehicle, and always the busy, pali-pali, verve and drive and energy that permeates this ‘miracle on the Han (River)’, this city that rose from the ashes of war to build itself into a sparkling, sprawling, buzzing entity! Such a great job of capturing some of the essence of Seoul, Judy! Those smoked sweet potato fries sound very enticing 🙂 Thanks for sharing the detail behind your memories of this place. Paris has inspired me in many ways, the architecture, the art, the food, they style, the lights. I haven’t been to very many places. I live in the Chicago area and find inspiration wherever I am. In the spring my husband and I spent the day in Key West Florida and I have to say it was very beautiful and I have never seen bluer water in my life. Very relaxing and comforting to stroll around that place. Göch, Germany is my inspiration. It’s beautiful and has amazing architecture. They have a tower in the middle of town that cars used to drive through. Architecture can prove so inspiring, Jennifer and completely alters how we experience a place. I’m amazed at how often it is overlooked. Thanks for sharing about Göch! The city that inspired me the most is Bruges because of the beautiful architecture, the lovely canals, the cosy admosphere in the very old city centre!!! Budapest is my favourite city in Europe. It is so vibrant and lovely to walk. It reminds me of Paris. In my imagination, Budapest always seems so regal and stately. I imagine there’s a lot more to it than that! Thanks for your nomination, Victoria! I “ran away” from home when I was 21 and lived in London for 12 years, travelling was my passion so I did travelled as much as I can, everytime with a pair of fresh eyes..longest trip was South America for 8 months which I shall always treasure in my heart.. Pretty much all places I’ve been, I considered amazing, but when I read the question the answer was easy.. no thinking, just my heart beating and telling me: Turin (my hometown where I’ve returned to in 2009 and living into since then) Italy. Every time you go for a stroll, there is a new corner to discover, a new park, a new building telling you a bit of it history.. and we do have soooo much history as we date back earlier than the romans.. The website in the link, is not my own, but as lots of people have never heard of my town, I would love to share with you all its beauty seen from the lens of one of the most talented photographer we have .. and who knows.. maybe you will find the curiosity to come and visit and fall in love too with this beautiful town! Wonderful pictures I saw, mostly on Instagram. 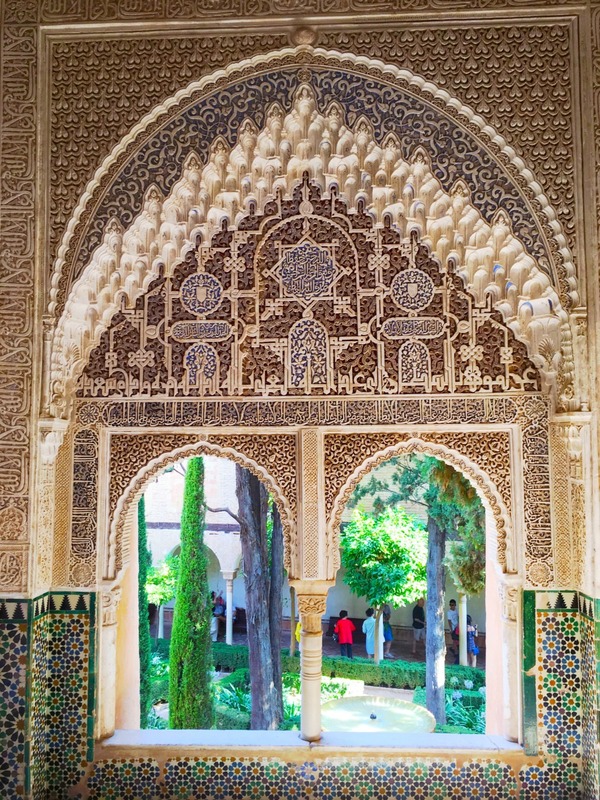 My choice would be Alhambra for the architecture. 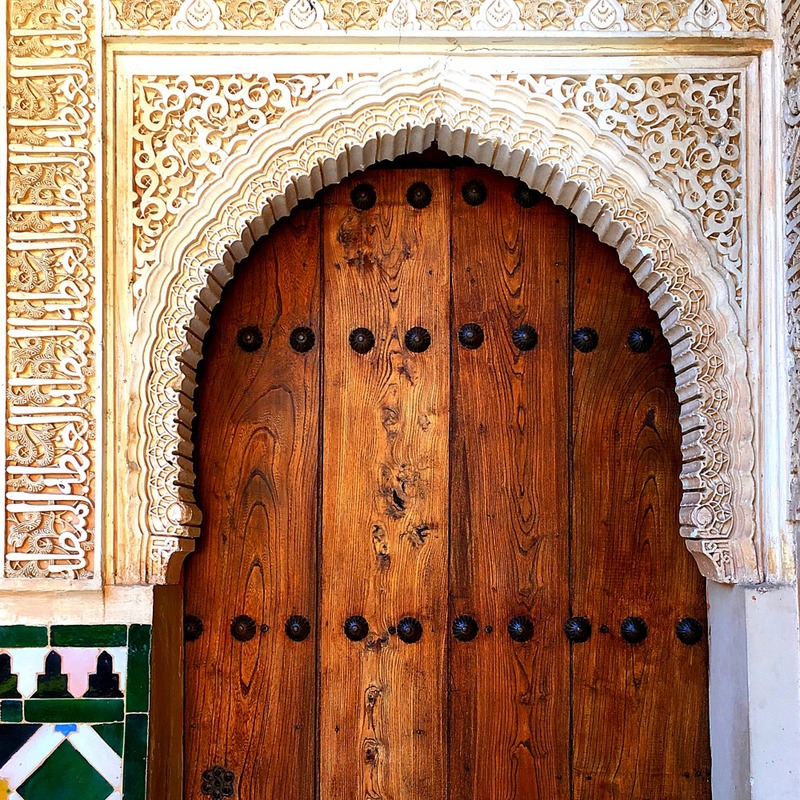 Those doors makes me feel like I could go on another world, just by passing through them ! the city that has inspired me the most is where I live, Conroe Texas, it is home and all that that implies. the place where my creativity has grown, and God willing will continue to root and bloom 10 thousand fold times 10 thousand. thank you for the opportunity & love all the diverse patterns and so glad you are inspired! The most inspiring city I’ve ever been to is Lake Tahoe. 1 city with such luscious water at its center can’t help but give out creative energy. The lake draws you to it with its mystery and beauty. Thank you for this opportunity and for sharing your travels! Oh Brittney – I love the idea of a city on a lake – the water is such a pull for me 🙂 Thanks for your nomination! Thanks for sharing your wonderful photos. As for me, Hania in Crete is my favorite city. Much inspiration from the people, the history and the architecture! I have always wanted to go to Marrakesh. Never been, but the colours and aromas call to me. I allways imagine the intoxicating sensory experience that I might have if I could go there. yay, finally got to the right place LOL, sometimes I wonder about my actions. 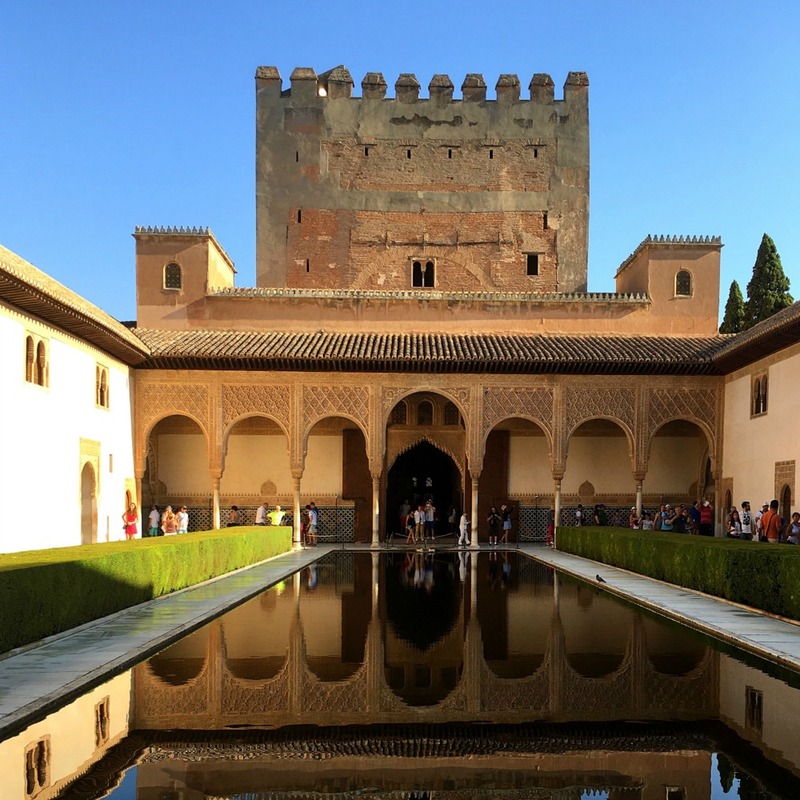 Alhambra is my choice (wrote more on your blog) I want to live there, I wonder if they would take in an old lady. I have either lived there in a past life or have a guide at my shoulder who came from there, the tug on the heart strings is just so strong.. It is so beautiful. I would say the entire country of New Zealand, but I can narrow it down to Tauranga! It inspired my soul at every level. Honest, kind, relaxed people. The most pristine landscapes. Clean, fresh air. Hiking around the area put my mind at ease and lit my soul on fire. So calm and peaceful, yet nourishing. Perfectly inspiring. Oh, I imagine so Andrea! Thanks for your nomination (and narrowing it down 😉 ) ! The city that has inspired me most is Rome because it has so many beautiful ancient monuments and when you are there you can feel the spirit of ancient times. Thank you for this giveaway! Cardiff for the décor in the castle there, The rooms are so beautifully decorated. And the bay with it’s mix of old and new which work so well together. I loved Isfahan, Iran! We traveled there as a family last December and it was beautiful. It is also known as the arts center of Iran. 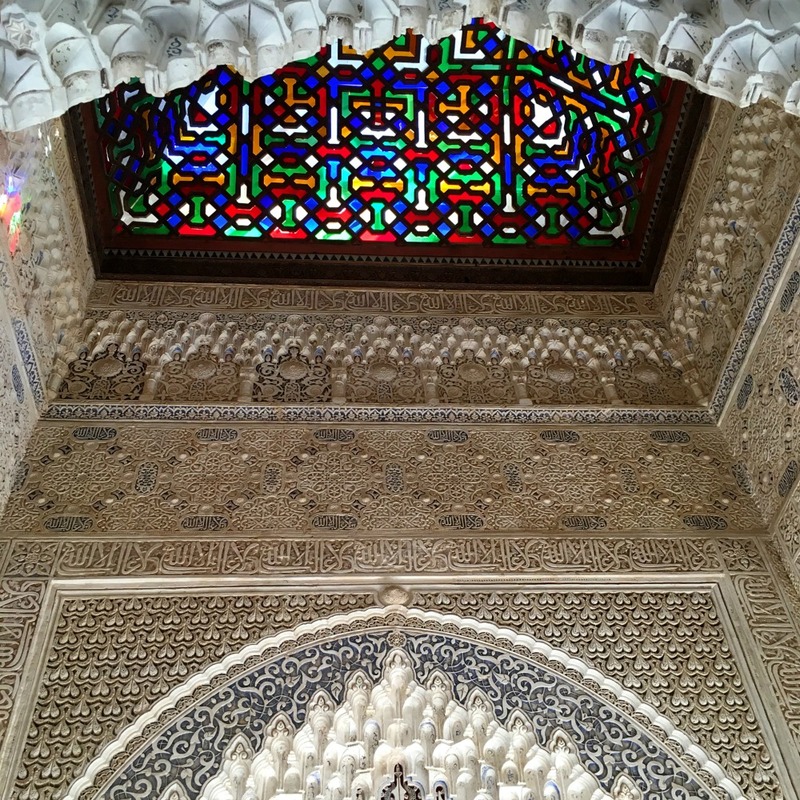 The architecture, mosaics, Persian carpets, hand printed cloths, wood work and beads were all truly inspiring. The food was wonderful and so were the people. Cusco, Peru. A magical place. I felt a sense of peace there. I loved the vibrant colours. The energy was beautiful. Walking around getting lost in the streets and watching local people live their lives away was a joy. The buzz of the more touristy places was a joy. It was a feast for the senses. I;ve been to Venice, Rome, and Florence. They are all beautiful and arty cities. I am most inspired by New York City. I love the colors, sounds, and energy ,as well as the architecture and the arts. The people are fiercely resilient and love their city dearly. I fell in love with the Metropolitan Museum of Art as a child and am enthralled to this day. The city that never sleeps! So glad you nominated NYC, Kelly 🙂 Thank you. Sorrento, Italy/ It captured my heart the first time I visited. Everything about the city and surrounding area was beautiful. The food, people and climate were perfect. I felt my first flutter of love, made many happy memories and left a little piece of my heart there. I choose Asheville, North Carolina. This may seem strange, but I love this place in the Blue Ridge Mountains. It is a center of positive energy. People here are drawn to many kinds of art. A popular bumper sticker says “Keep Asheville Weird. ” That sums it up. Any place that’s weird gets my vote, Barabra 🙂 Thanks for sharing! I loved walking around Paris looking at the architecture, the garden spaces, imagining living inside a flat, watching a calico cat rest on Edith Piaf’s grave, taking a picture of a ferris wheel lit up and seeing the Eiffel Tower sparkle at night. It was a grand treat, and graduation present to myself that I shall never forget. A fine graduation present, indeed 🙂 Thanks for sharing, Lisa! I love Florence, but the first place that came to mind is Venice. 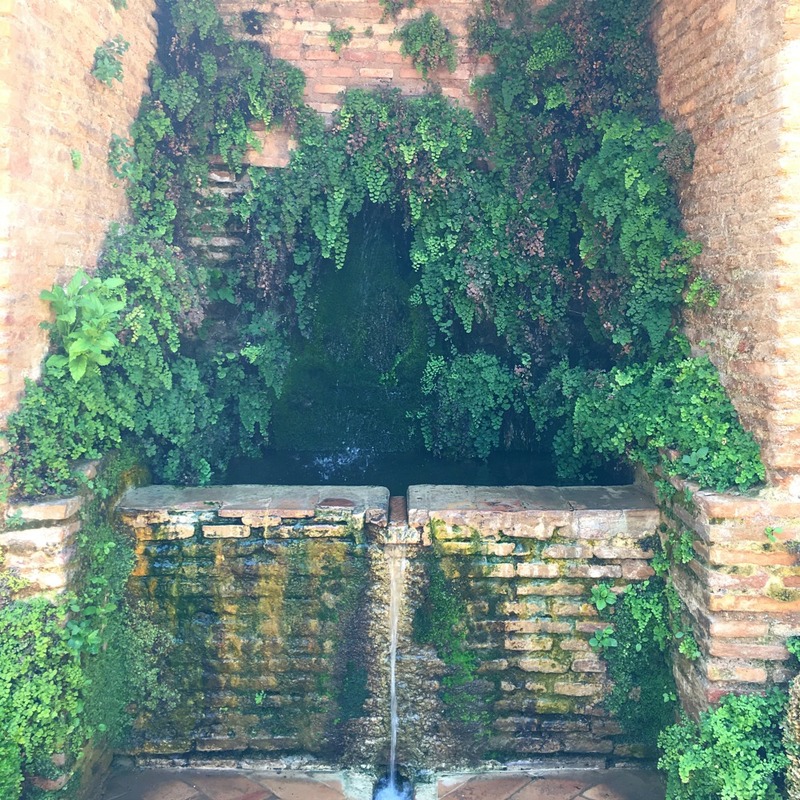 A friend and I were traveling in Italy on scholarship to look at art, and I refused to go to Venice because I thought it would be disappointing- too many tourists, too popular… Well, he tricked me into going, and while yes, it was full of people from all over the world, the light of Venice and its beauty bewitched me. One thing I will never forget- my friend and I split up for a day and I was walking through a church or museum alone. I was tired when I saw a bench in front of a large painting I did not like. I gratefully sat down and, since I was there, decided to look at the painting closer. I still did not like it, but sat and kept on looking anyway. All of a sudden it was as if reality ripped open and suddenly I SAW the painting. It was vivid, awe-some, terribly beautiful, and deeply moving. I felt my eyes and heart open up. I wanted to share this experience with my friend so ran to find him. I found him after an hour of searching in museums and churches and ran with him back to the painting. But when we got there, it had vanished. I am sure the painting was there, and that we passed it many times, but the painting was not revealing itself as it had an hour before, or the veil came back over it, and I could not recreate the experience. It was one of the most amazing experiences I have ever had. Later I was looking at a mosaic with Salome dancing. The gentleman beside me had a large smile on his face and asked me if I could see her dancing. 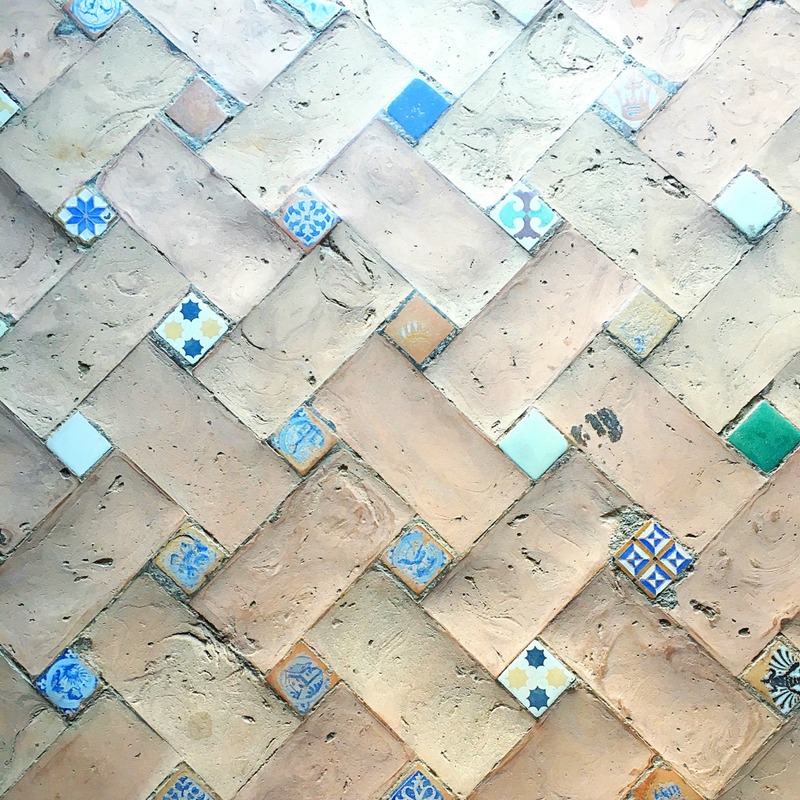 I looked at the shimmering tiles and thought I did. In some ways it was like Venice itself- mysterious and impossible to grasp, magical… I am so glad you had a wonderful trip! I love your photos- they take me there. Ah, the city I am most inspired by is Vancouver, BC, Canada. The mountains and the ocean hold this city in a gentle cradle. The city is a multicultural feast. Art is a major wonder especially with the Emily Carr School of Art. Also, the art of First Nations’ people reflect the nature and beauty of the land, sea and sky. Oh, yes Maureen, I agree – Vancouver is an inspiring city. I’m lucky to visit my closest friend who lives there, but am sorry to say I haven’t been for too long. Can’t wait to visit again. Thanks for sharing! Paris is another city that is wonder filled with many art galleries and architectural beautiful sights. I really like the artists who display their creations along the river. Oh, and the artistry of the food offerings. Sigh, to see Paris in spring. Paris and Rome are proving to be the most popular nominations! I love the capital of Brasil: Brasilia. Why? I meet there the first time my big Love. One moment of reconnection. Infinity. Timelessness. I can take a breath and are inside this moment. Brasilia is fantastic in view and architecture. There ever is warm and you get fruits – so sweet and juicy. You don’t want have something other. You can go to Pinterest and look some own pictures, I made there. 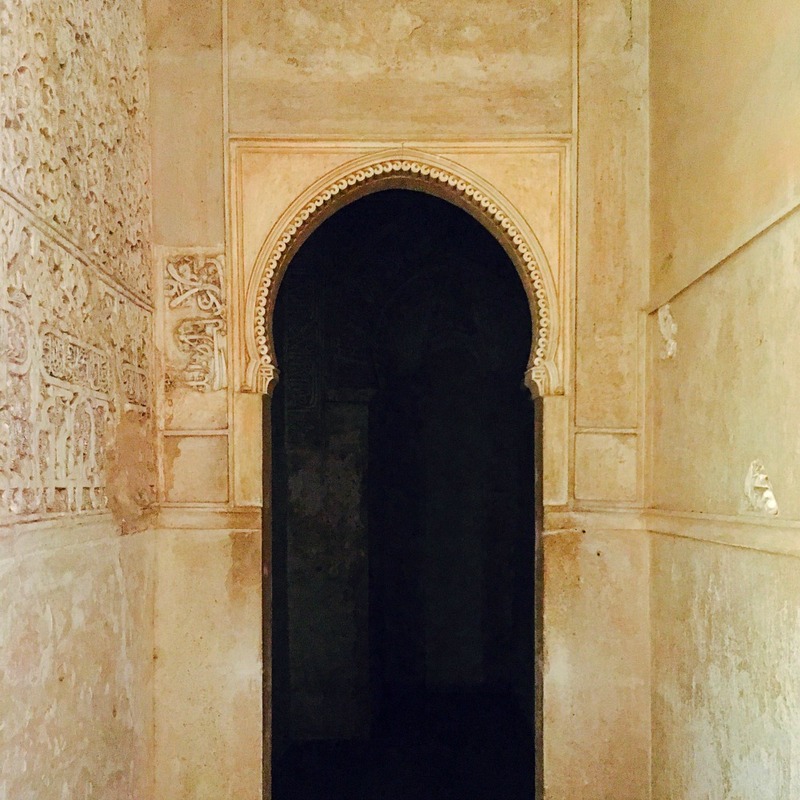 Thank you for reminding me of the wonder of the Nazrid Palaces in the Alhambra. 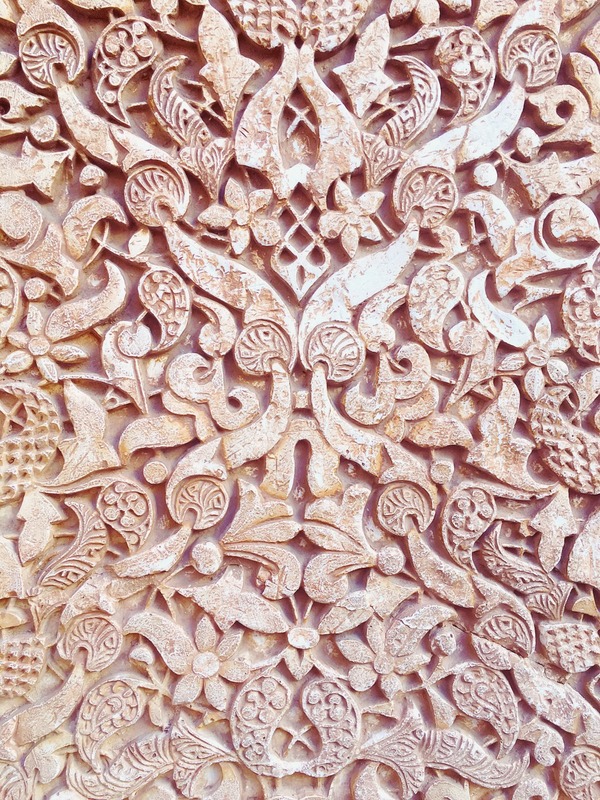 Many years ago, I traveled in Europe and my most favorite memory was of the beauty of Alhambra. I stood in the gardens and watched families stroll in joy amid the roses. I watched an old woman sitting peacefully reading in the garden. My heart was filled to overflowing by the beauty and I experience being touched by spirit. 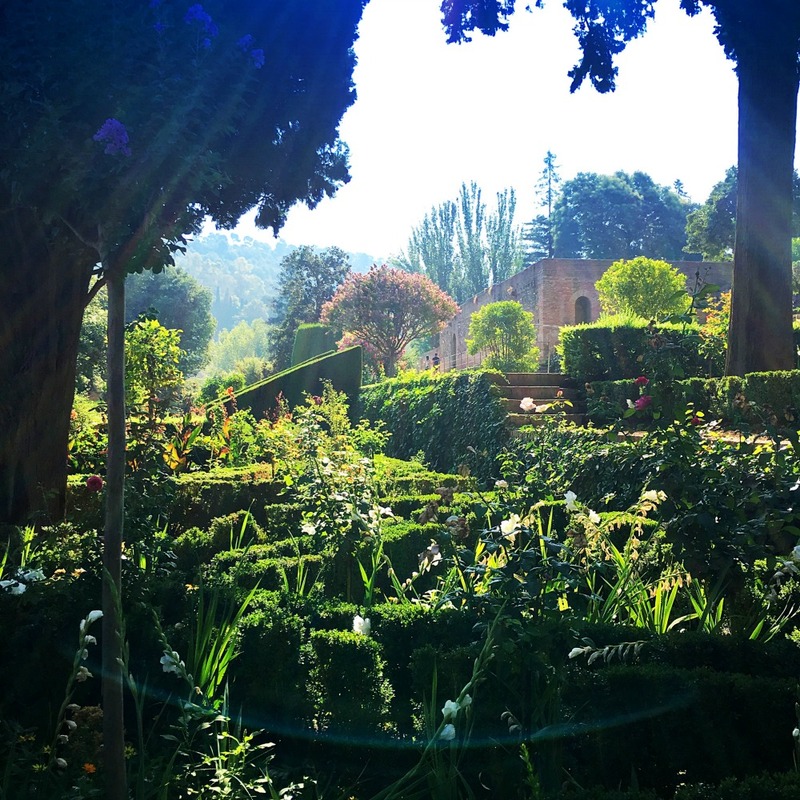 The Alhambra does offer a cornucopia of delights! It’s quite a special place, Carla! Sometimes there simply is no requirement to travel – thanks for your nomination. I must admit it’s home for me. They ain’t really cities but Clare and Tipperary in Ireland I love ❤️ Galway is a beautiful city. Funnily enough, the city that came to mind when I read your email, was Oklahoma City. I was staying there for a few days years ago and had been wondering around. I found an amazing art gallery with exceptionally good Native art. Not the touristy rubbish, but real, beautiful, spiritual pieces. I particularly liked work done by an artist called Bev. Doolittle. Her paintings are amazing and I could have bought all of them if I had had the money! They are beautiful in themselves, as seen from the ‘proper’ distance, but when you get close and keep looking, there are all sorts of other stories to be discovered, hidden in her paintings. As I was leaving the city a few days later, I ran into a newsagents, and there, on a rack, was one single calendar of Bev. Doolittle’s art! I bought it and now some of her art is framed and on my workroom walls. They remind me constantly, as I work with clients (and indeed, as I continue to do my own work) that the more we look, the more of our own story we uncover. I have looked at those paintings every work day since I brought them home more than 10 years ago. I left the art gallery exhibiting her work full and open and wandered around the corner to find the memorial of the Oklahoma bombing. Right in the middle of this bustling, lost-feeling city, unexpectedly and shockingly, there was this wonderful, beautiful, sacred space. It was like an open cathedral; peaceful, quiet, solemn and still. It was just like being in a cathedral, where you can hear the traffic outside but it doesn’t really enter your awareness. The walls of the cathedral were made of galvanised wire fencing, which were covered in photos, cards, letters, pieces of clothing. Some had obviously been there for years and others were fresh. One family had recently been and added a new photo of a child’s birthday, of him blowing out his candles. A son? nephew? grandson? There were new garments threaded through the fence alongside dirty, weathered scraps of old ones, plastic flowers and cut ones – again fresh newly picked bunches among dead and decaying florist-wrapped bouquets. All reminders of lives that would never be lived, relationships that would never be grown, memories that would never be truly shared. We come here to remember Those who were killed, those who survived and those changed forever.May all who leave here know the impact of violence. May this memorial offer comfort, strength, peace, hope and serenity. 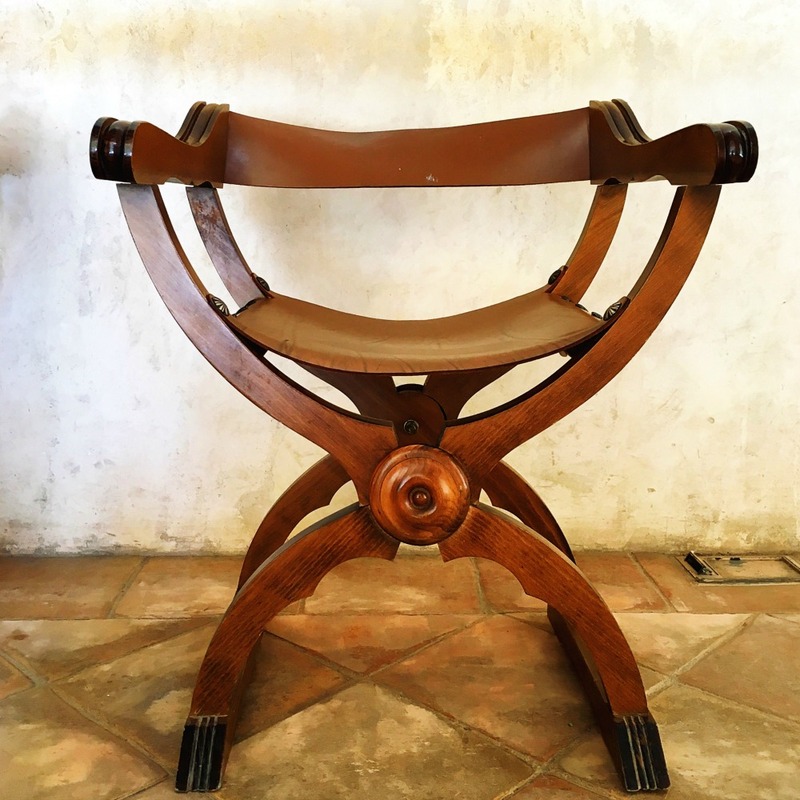 Inside the cathedral, down each side of the aisle – a long, wide, shallow strip of still, reflective reflective water – were chairs that were lights, each lit up. They were in little clusters, each cluster representing one floor of the building that had once been there and each chair in that cluster representing a person who died on that floor. Little birds were chirrupping as they dipped in the water for a drink or a baptism, but apart from them there was no sound in the place and only slow, solemn movement from people walking quietly and gently among the memories. There was a children’s corner, where the local children had painted tiles and children from all over America and Canada had added their hopes or sympathy. The had been made into a special area of a beautiful mixture of expressions of sadness and hope in glorious child-like technicolour. There was a blackboard there where children could express their feelings or thoughts however they wanted. The day I was there, there had been a lot of children writing and drawing on it. Their sense of love, care and hope and their obvious hatred of violence was palpable and I found myself thinking ‘and a child shall lead them.’ When I eventually got back to my hotel, I looked the quote up. It comes from the Bible and I thought it was really appropriate. And then, there was the survivors tree. In this derelict, bombed out space, at the alter of the cathedral, stood a huge, 80 year old American Elm tree. Life amongst death. It had survived the bomb and had continued to provide shade and shelter to those who wanted it. They had thought it had died and then, a year later, when people came for a memorial service, they realised it was actually beginning to grow tiny new green leaves. Now the tree is preserved as a great testimony to surviving against all odds. I was so moved by this memorial. I stayed there for the rest of the day and watched the sun go down. I bought cards to send to people – and never did because I couldn’t let them go. I still look at them regularly, after all these years. They still help me to find that deep, solemn sacred space within where I know, alongside my hatred of violence, that I have a good and solid faith in survival, and a hope of thriving against all the odds. I take this faith and hope into my work with traumatised people as a light and I am grateful to Oklahoma city for giving me these experiences and the physical representations of them in paintings and photos.